Welcome to Arthur Murray® Dance School, offering instruction in a wide variety of dance styles to residents of Winnipeg and surrounding areas, as well as wedding dance lessons to make your special day even more special. You can also contact us for professional shows for weddings, corporate events, social events, and more. Having been around for more than 100 years, Arthur Murray International, Inc. (AMII) has developed proven methods to teach people to dance in a fast and efficient way. We take pride in being a franchisee of one of the world's biggest dance organizations, providing students with a state-of-the-art facility, highly skilled teachers and a warm and welcoming atmosphere to make it easy for them to learn to dance. 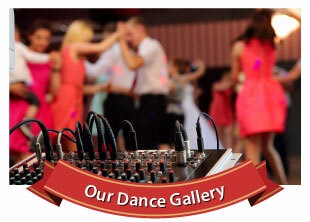 We offer a diverse range of dance programs to suit different needs and learning objectives. Whether you're looking to learn the basics of good dancing, or you're interested in getting acquainted with competitive dance styles, we have a program for you. 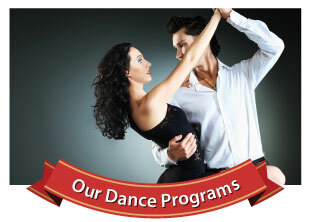 We also offer programs designed exclusively for men to help them gain confidence on the dance floor. Put the skill and experience of our dance instructors to work for you. 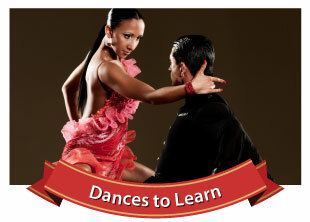 Our instructors are joined together by a passion for dance, and teach an array of dance styles. We offer lessons in Rhythm and Latin dances such as Bolero, Samba and Lindy Hop, as well as Smooth and Standard dances such as Waltz, Tango and Foxtrot. 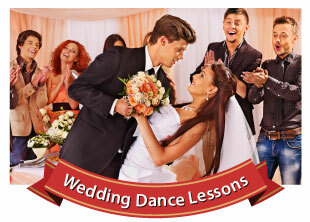 Also, we provide instruction in Specialty dances such as Bachata and Polka. Dancing with your spouse on your wedding day should make you feel excited not nervous. Don't let a lack of experience take that special moment away from you and your spouse-to-be. Count on Arthur Murray Dance School Winnipeg for customized wedding programs, tailored to your unique needs, and give each other the gift of dance to make your big day truly memorable. Check out photos and videos of the Arthur Murray Dance School team at work to get a hint of how we help students in Winnipeg and the surrounding areas dance with ease. Call or visit us if you need expert guidance on your path towards being a confident dancer. We'll assist you in learning the dance style of your choice. Get in touch with Arthur Murray Dance School Winnipeg to take advantage of our offer for new students. Dancing is not only a great way to make your social life more exciting, but is also helpful in improving your health and relieving stress. Regardless of what you want to achieve from dance, contact us to schedule your free introductory lesson today. All teachers are accredited from World Dance Organization, World Dance Teachers Association (WDTA) and Canadian Dance Teachers Association (CDTA).